If not available in stores, then where? 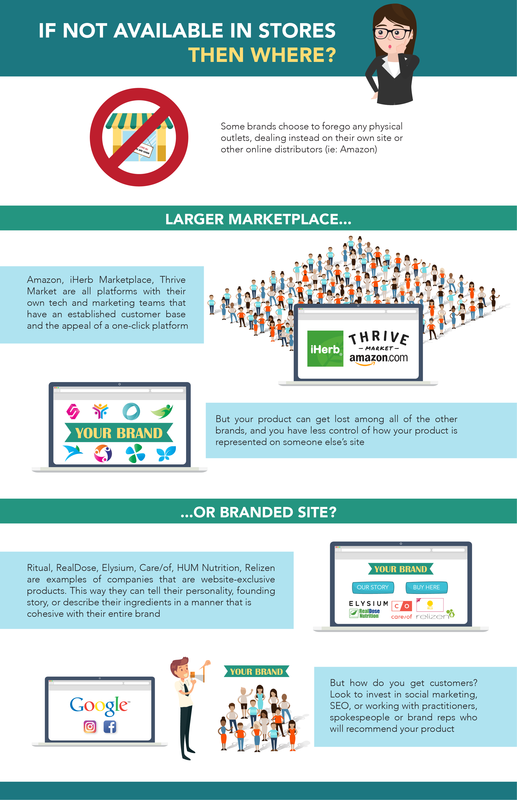 Review this infographic for more information to consider for your brand's online distribution strategy decision-making process. More brands than ever are moving online-only as consumers become more comfortable with clicking to buy. Is your brand considering an online-only strategy? Or maybe you want to choose the best digital platform to complement your larger distribution gameplan. Check out our infographic below to help consider the pros and cons of various online strategies. And if your business is still figuring out the distribution chain, join our digital summit Getting On Shelf in a Changing Distribution Landscape at 2 p.m. ET on October 25. We'll be discussing the distribution strategies of today's hottest natural brands, and where they found success.